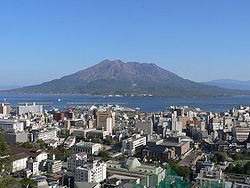 Kagoshima is the capital city of Kagoshima Prefecture at the southwestern tip of the Kyushu island of Japan. It has been nicknamed the “Naples of the Eastern world” for its bay location, hot climate and impressive stratovolcano, Sakurajima. Kagoshima is approximately 40 minutes from Kagoshima Airport.